The good news for goldfish owners is that there’s generally a very low prevalence of disease among goldfish. They’re pretty tough cookies! Goldfish diseases, when they do occur, tend to be mild and easily treatable provided they’re treated early. The risk of many of these diseases can be reduced significantly through good fish care, particularly through the quarantine of new fish before introducing them to the tank. This ensures that any diseases picked up at the pet shop or fish farm are treated before being transferred to mix with existing fish. 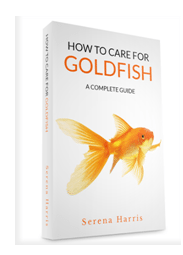 Understanding goldfish diseases is the best way to make sure you keep a happy, healthy tank. Don’t worry if you can’t quite get your tongue around ‘Ichthyophthirius Multifiliis’. In the goldfish world this is often shortened simply to ‘Ich’ (pronounced ‘Ick’), or it’s sometimes even noted as ‘White Spot Disease’, referring to the white, salt-like grains that appear on the gills of infected fish. Ich is a parasite, and it’s one of the most common goldfish diseases today. In fact it’s present in many freshwater tanks but as it only affects vulnerable fish, we often don’t realise we have an Ich infestation if we have healthy goldfish. Unfortunately it doesn’t take much for goldfish to become a little stressed out. Changing the water, for example, can create an unfamiliar environment, while the introduction of new fish also cause sanxiety. A statistic I’ve read reports a 40% prevalence rate of Ich amongst goldfish. 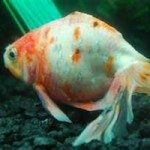 The good news is unlike some other goldfish diseases Ich, in some cases, can be successfully treated naturally, with no need to medicate your fish. 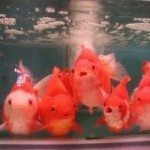 While goldfish are often happiest living in temperatures between 23 and 24 degrees celsius, increasing the heat of the tank is a very effective way of killing off those pesky Ich parasites. 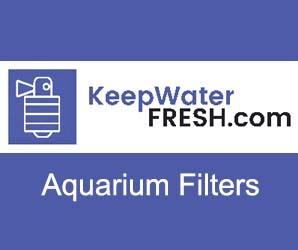 Raise the temperature of your tank gradually to avoid creating even more stress for your fish, preferably at a rate of around 1 degree per hour until you reach 30 degrees. If you’re worried about your fish, don’t be. While they’re happiest in moderate temperatures they can actually withstand anything between 10 and 30 degrees for short periods. The heat doesn’t kill Ich but what is does is prevent them from breeding. So once all the current parasites have come to the end of their life cycle, your tank should be clear. Keep the temperature raised for around 10 days before returning to normal. Malachite green treatment is also a very effective treatment for white spot. These are parasitic organisms that burrow into the goldfish’s system and feed from its nutrients. The most common culprit for introducing this condition is live feed, as the worms need a host before latching themselves on to the goldfish. The treatment used for anchor worms is Potassium Permanganate. This is a substance that’s added to the water. It’s readily available and should be administered everyday for about 3 to 4 days. If caught early anchor worms shouldn’t cause too much harm to your fish. You might want to take extra care when it comes to feeding choices. This is something that can affect all types of fish. Goldfish are believed to be more naturally susceptible to the lice as scientists believe the two evolved simultaneously. Whether this is true or not is certainly up for debate, but what we do know is that Fish Lice is one of the most common goldfish diseases. It can make your aquatic friends very uncomfortable as they squirm around trying to dislodge the lice; much like a dog would when trying to rid itself of itchy fleas. Of all common goldfish diseases, Argulus is considered to be one of the most complex as there are 3 types of lice that can cause an infestation, and all behave slightly different from one another. Argulus Japonicus is the most common form of lice, followed by Argulus foliaceus and Argulus coregoni. How to treat fish lice: Like Ich, Argulus is one of just a few goldfish diseases that can successfully be treated naturally, although many goldfish owners do prefer to speed up the process through the use of water treatments. The natural route is very effective and involves gradually raising the water temperature of the tank to around 26 degrees celsius in 1 degree per hour increments. Argulus lice thrive in more moderate temperatures, and even an increase of just a few degrees can shorten their lifespan significantly.The problem is, however, that Argulus lice can live for months, with an average lifecycle between 30 and 60 days. That’s a long time for your poor fish to be infected. Therefore, a pesticide water treatment, preferable one containing diflubenzuron, is recommended to quicken the process. This is a fatal and infectious disease that’s caused by parasites, bacteria, or virus. Among common causes of this illness is poor maintenance of the tank, particularly when it comes to the quality of the water. When the tank water becomes too contaminated, it becomes a perfect breeding ground for disease causing organisms which then take on the fish as host. This disease is hard to diagnose and treat. It usually spreads rapidly and by the time pet owners notice anything, it may already be too late. If you catch it early enough there are treatments that your can do at home. The best chance you (and your fish) have is to keep the tank spotless all the time. Regular cleaning is very important, particularly if you’re housing more than 1 goldfish at a time. It’s heart breaking to watch goldfish die from this disease as it’s excruciating. one fish nipping the other. Separate the fish to different tanks if you notice this behavior. The disease starts around the edges of the fin causing it to look ragged. It slowly destroys more and more of the tissue. If left untreated it will cause swimming problems for the affected fish and will eventually be fatal. It’s important to catch the condition in the early stages for the most effective treatment. Maintaining good water quality is the key to preventing this disease. Clean the tank, vacuum gravel, and clean accessories thoroughly. 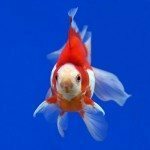 Taking care of your goldfish, being aware of common goldfish diseases and sticking to a strict maintenance schedule will help your fish to live longer, healthier, and happier. Your goldfish is a precious member of the family, so do everything you can to make his life happy and long. This is by far the most common illness in goldfish and it’s often caused by inadvertent overfeeding or a bad batch of food. When you notice that your fish is exhibiting any or all of the mentioned symptoms take swift action. Be sure to feed your sick fish peas, spinach, live feed, or pre-soaked flakes. Any one of these items can help your fish obtain relief and be able to move its bowels. Clean the tank immediately after so you avoid contamination. You can prevent this condition by paying very close attention to what your goldfish is fed. Keep in mind that they don’t have a working stomach so they’re always at the mercy of their owner’s choices when it comes to diet. If you’re looking for the most bizarre of goldfish diseases, you’ve found it! Despite being relatively common, Lymphocystis isn’t very well understood, even by scientists who have been studying the disease for decades. Lymphocystis is the abnormal growth of a cluster of cells which can almost be likened to benign tumors in humans. They’re visible, and they’re very real and yet they don’t appear to present much of an issue. There are reports that these growths may slightly suppress the immune system, leaving fish susceptible to parasites such as Ich and other goldfish diseases which could pose risk. But Lymphocystis itself is not believed to be dangerous. In fact the primary issue with the disease is that fish become unattractive to prospective buyers, which could impact the aquatics economy. With a lack of understanding regarding the nature of Lymphocystis, it’s no surprise that there are currently no known treatments for this disease. Goldfish diseases that have a specific cause can often be treated successfully, but with the mysteries surrounding these cell growths, there’s very little that can be done for goldfish diagnosed with Lymphocystis. Remember that the disease is not thought to pose a significant risk to your fish. While some fish veterinarians may recommend surgical removal of the growths, and some may recommend experimental treatments such as a DNA vaccine, many consider the best treatment is simply good care and attention. If Lymphocystis does lower the immune system, it’s important to keep your fish as happy and healthy as possible to reduce the risk of contracting disease.